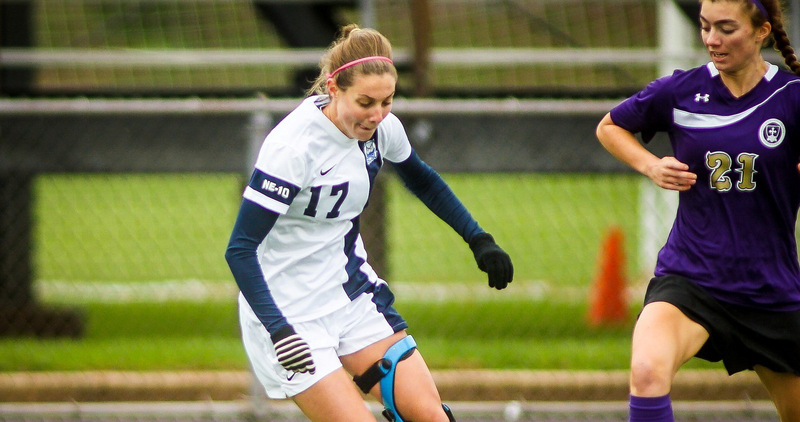 Sarah Brochu, who recently concluded a stellar career with the Southern Connecticut State University women’s soccer team, has been named as one of 480 student-athletes nominated for the 2015 NCAA Woman of the Year award. The Woman of the Year award honors graduating female student-athletes who have distinguished themselves throughout their collegiate careers in the areas of academic achievement, athletics excellence, service and leadership. Previously named a nominee for the 2015 Northeast-10 Conference Woman of the Year award and the 2015 Northeast-10 Conference Outstanding Female Scholar-Athlete Award, Brochu capped her Owls’ career with All-America laurels, just the fourth player in program history to earn such an honor. Regarded as possibly the finest defender in school history, the three-year team captain was named the Northeast-10 Conference Defensive Player of the Year and the ECAC Defensive Player of the Year. Brochu earned All-New England, All-Region and All-Conference honors four times in her career. Brochu, of Wilbraham, Mass., was also honored extensively for her work in the classroom, where the nursing major maintained a cumulative grade point average of more than 3.6. She was selected as a Division II Athletic Directors Association Academic Achievement Award recipient, a three-time NE-10 Women’s Soccer All-Academic Team selection and as a NSCAA Academic All-Region honoree. Adam Cohen, women’s soccer coach, said Brochu was a strong role model for the younger players during her Owls’ career.